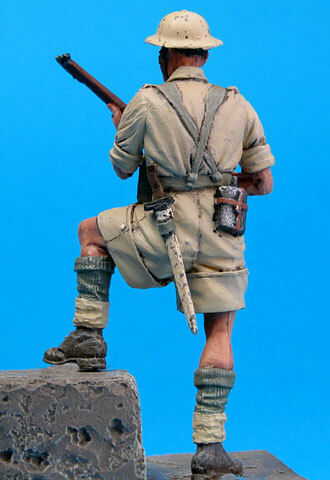 Well, I told you I would be presenting this figure soon, and here it is! 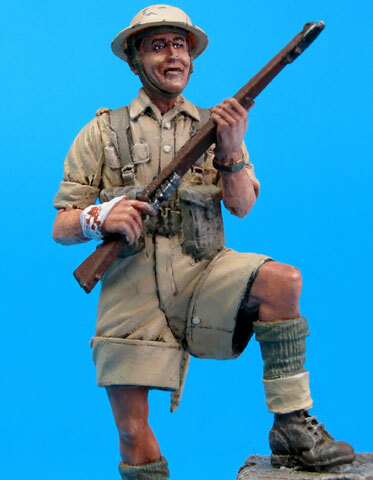 This is Warriors' new 1/35 scale British Soldier, Tropical Uniform. I thought this figure was fantastic in the box. Building it was even better. Assembly went smoothly. 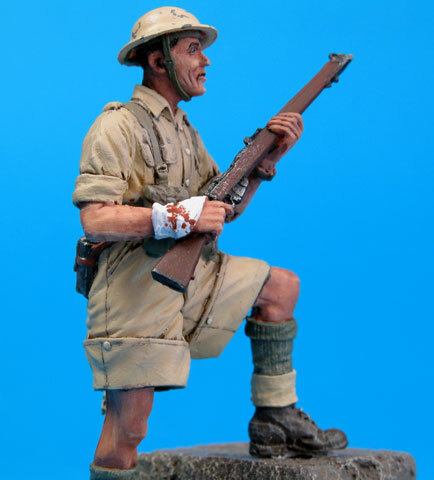 The only difficulty was matching the hands cast on the rifle with the separate arms. All I can suggest is to take your time and be careful. Once assembled, the real fun begins - painting. All painting was done with Vallejo acrylics. The more that I use these paint, the more I like them. 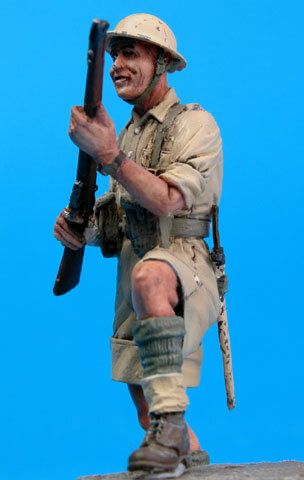 The end result is a stunning figure which really looks the part, and I really enjoyed this quick project. 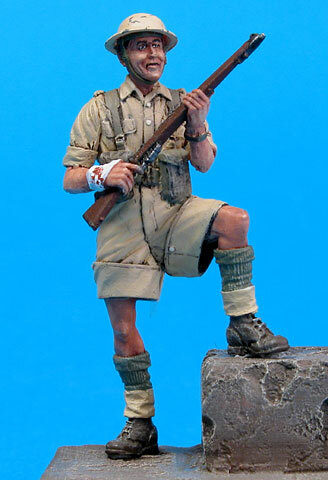 This figure will soon be installed in a new diorama. 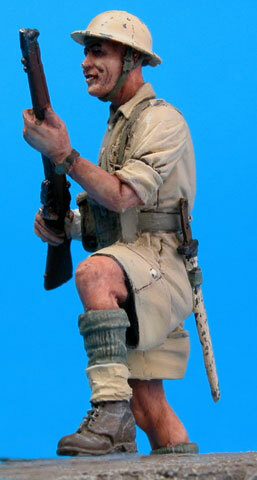 In that scene he will be changing nationality to an Australian Digger in Tobruk - coming soon to a computer near you!